Samsung just unveiled its brand new smartphones on Feb 29, the Galaxy S8 and Galaxy S8 Plus. It's Samsung’s first smartphone launch since its global recall of the fire-prone Galaxy Note 7 after cases of overheating and sometimes exploding batteries were reported. The company has a torrid time of it in 2016. Keen not to let something like this happen again, Samsung has invested millions in new R&D and QC for the Galaxy S8 and Galaxy S8 Plus. Both of them are the tool of Samsung Company to win over the hearts of fans and skeptics alike. Here we will make a detailed review of Galaxy S8 and Galaxy S8 Plus. 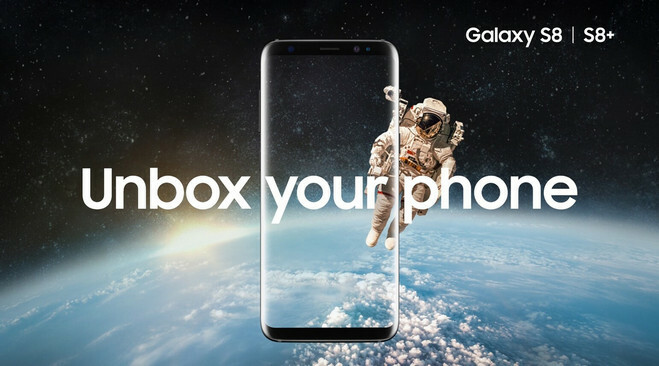 The Galaxy S8 features a 5.8-inch QHD (1440x2960 pixels) Super AMOLED display and the Galaxy S8+ sports a 6.2-inch QHD (1440x2960 pixels) Super AMOLED display. The major highlight of the two flagships is the Infinity Display. Both of them removed their boundaries, comes with curved edges. The Infinity Display has an incredible end-to-end screen that spills over the phone’s sides, forming a completely smooth, continuous surface with no bumps or angles. So all you see is pure content and no bezel. Besides, in the color aspect, Samsung Galaxy S8 and the bigger Galaxy S8+ will be available in Midnight Black, Coral Blue, Orchid Grey, Arctic Silver and Maple Gold colors. The Galaxy S8 and S8+ are all equipped with an advanced 8MP F1.7 Smart autofocus front camera and 12MP F1.7 Dual Pixel rear camera for the best low-light, zoom and anti-blur photos with enhanced image processing. The fingerprint reader is now on the back, sits close to the rear camera, by the way. The Galaxy S8 and S8+ feature the industry’s first 10nm processor, enabling heightened speed and efficiency. Galaxy S8 and S8+ are Gigabit LTE and Gigabit Wi-Fi ready. Wi-Fi on the Galaxy S8 and S8+ supports 1024-QAM, meaning you get up to 20% faster download speeds compared to the previous model. So if you're downloading big files or sharing your data, speed isn't really an issue. The Samsung Galaxy S8 will pack in a 3000mAh cell, while the Galaxy S8 Plus will use a larger – 3500mAh battery. The specter of the Note 7's exploding battery hovers over the S8. It can't be 100 percent sure that Samsung made a safer battery until the final units are incident-free. But Samsung has instituted an eight-point battery test that it used on the S8 and S8 Plus, and on all phones going forward. This time, the Samsung Galaxy S8 and S8 Plus also come with Samsung’s personal voice assistant, called Bixby, which is the answer to Apple's Siri, Google's Assistant and Amazon's Alexa. Bixby is an intelligent interface that will help users get more out of their phone. With the new Bixby button, you will be able to conveniently access Bixby and navigate through services and apps with simple voice, touch and text commands. When you're lost for words, open the camera and Bixby will search for you. It's integrated into every aspect of the Galaxy S8 and S8+, so it's able to handle the tasks you normally do on your phone and it's constantly learning your ways so it can get better and better. With the Infinity Display, watching movies on Galaxy S8 or S8 Plus will be an extremely wonderful experience. If you get a new Samsung Galaxy S8 or the Plus, it will be a great choice to transfer an excellent iTunes movie into the phone for enjoying. But all of your attempts will be restricted by DRM protection of iTunes M4V movie, which will prevent you move iTunes movie to non-Apple device like Samsung Galaxy S8 for streaming. Then, how to remove the DRM protection from iTunes movie? And make it possible to watch iTunes movie on Samsung Galaxy S8? To get rid of the limitations of DRM, you are supposed to own the best iTunes M4V Video Converter. NoteBurner M4V Converter Plus is a professional iTunes DRM removal tool which can remove DRM legally from both iTunes purchases and rentals. Also, you can convert iTunes M4V files to other popular formats so as to be played on Samsung Galaxy S8 and S8 Plus. 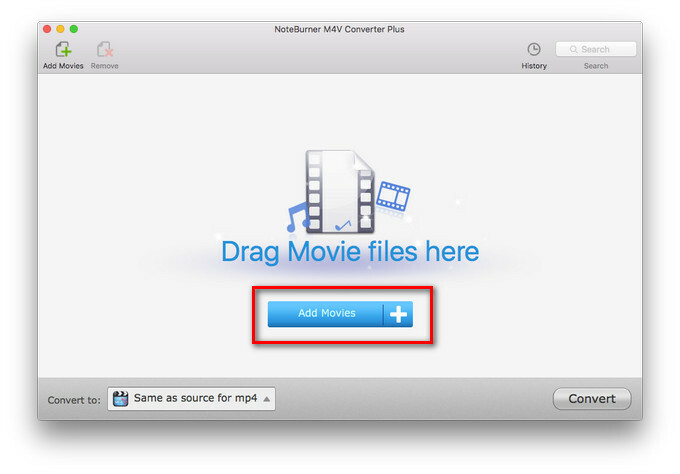 After conversion, all of the iTunes M4V movies are DRM freed and just like purchases without any limitations. Have a try! Download and install NoteBurner M4V Converter Plus on your Windows or Mac.